This type of notice caused a few drivers to wonder if Uber was spying, in driver forums. 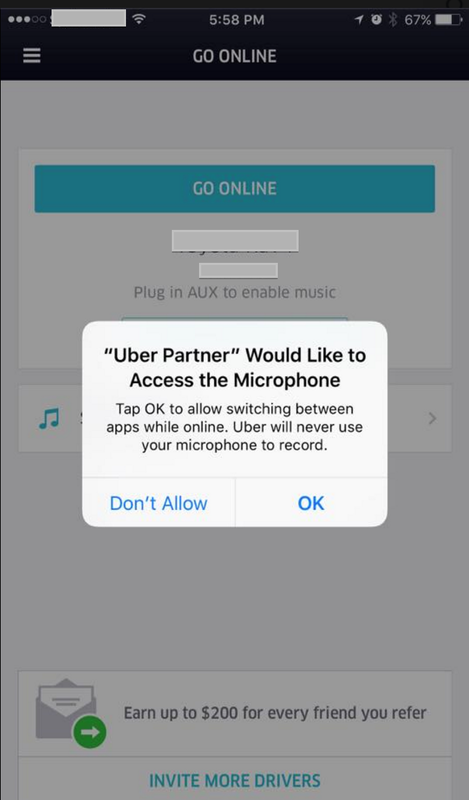 Some forum discussions evaluate why Uber requests access to the mic, suspecting surveillance, but they’re generally satisfied with a plausible-sounding explanation, like so the app can give directions out loud, or to potentially make use of voice commands. A safe driving report displayed to a driver. While Jose is inaccurate (as far as I know, Uber is not listening through the mic or taking control of the camera), he’s not exactly wrong. 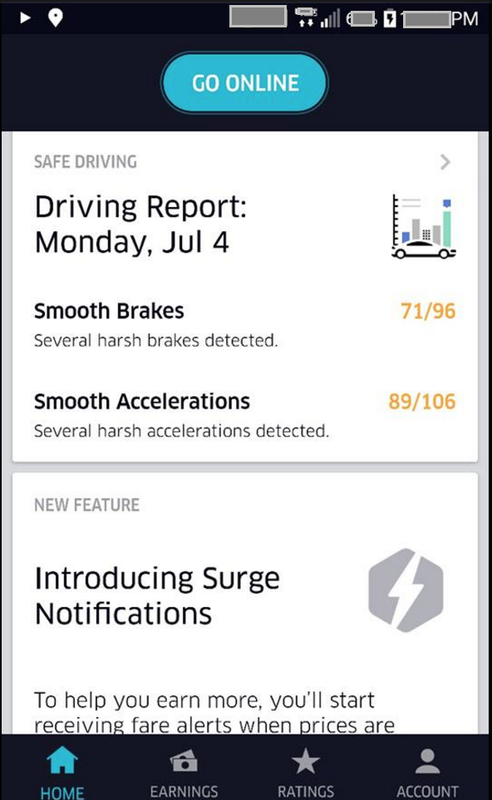 Uber does track driver behavior, such as through the rating system, and more recently, through telematics: how drivers break, accelerate, and speed are monitored. It’s not such a stretch to presume that the boss is listening and watching, too. Drivers use different strategies to manage their safety on the job. Beth, a woman in her mid-30s, carries mace with her as a precaution, always, but she’s never had an occasion to use it with Lyft. It’s part of her larger preparations for the job: she started by investigating all the expenses and methods she needs to manage her finances for running a small business as an Independent Contractor, which is rare for ridehail drivers. Many drivers are willing to run errands, but they’re not prepared to run a small business. Beth grew up in a military family, and has taken self-defense classes since she was a kid. She also talks approvingly of the rating system as a way to keep both drivers and passengers safe. 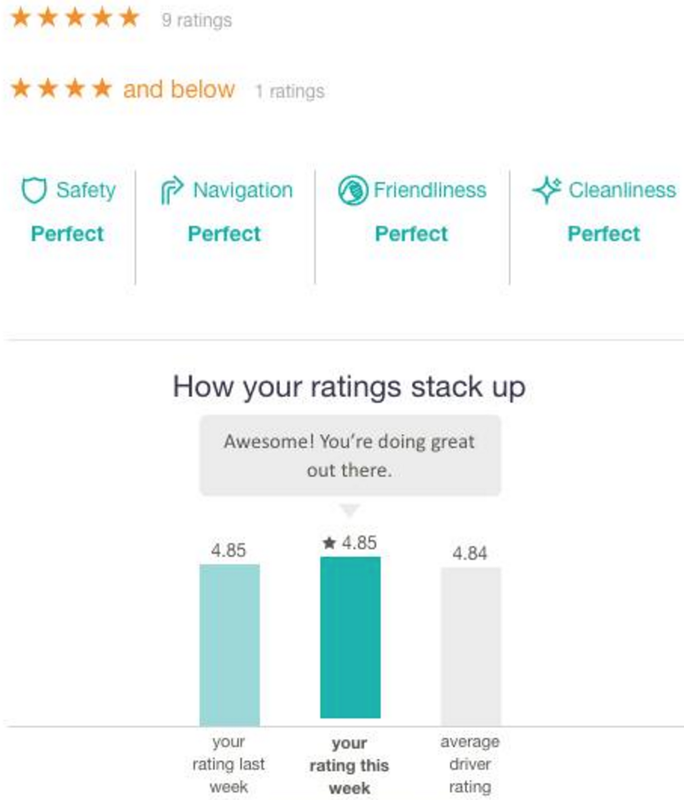 Sample ratings feedback a Lyft driver received. Beth’s belief is a misconception, but misinformation is rife in the ridehail world because there’s not really a reliable source of full or nuanced information from the companies’ about how their systems work. Lyft doesn’t deactivate poorly-rated passengers, but if a driver rates a passenger at 3 stars or lower, Lyft won’t match those two again. The passenger remains active on the system, though. Jose’s misconception mirrors, in some ways, Beth’s: both drivers have a false sense of security they derive from features or rules they perceive in the apps. Jose thinks Uber snaps passenger photos, and Beth thinks that any passengers who behave below four stars are deactivated, so she has more confidence that any passenger she receives has passed that threshold. Beth also learns that the best way to handle irate passengers (and, by implication, her own safety) is to always agree with them, even if they’re insisting she go the wrong way to get to their destination, or screaming out the window in a residential neighborhood after a disappointing night at the bar. She paid close attention to her Mentor session, which Lyft (but not Uber) provides to new drivers to teach them a little about the system, which functions a bit like a vetting process. In the script Beth relays, her Mentor puts the smoker out of the car and tells him he’s welcome to reschedule a Lyft when he finishes his cigarette. 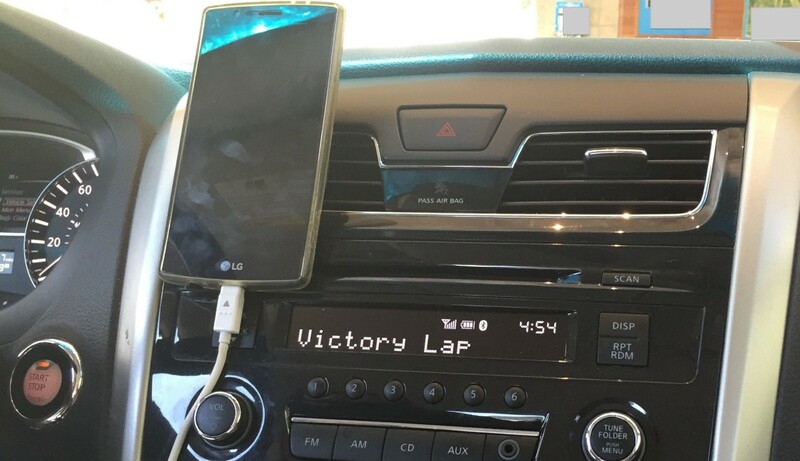 Her account indicates that drivers perceive in Lyft a certain care for their drivers by teaching them the ideal way to manage difficult passengers smoothly. The company also encourages drivers to volunteer their side of the story if they perceive anything went awry on a trip. How drivers manage safety also reveals something interesting about how drivers perceive Uber v. Lyft: Beth can seek counsel from a mentor with Lyft, but Jose thinks safety is related to a surveillant, retributive boss. Driver perception that the rating system keeps everyone better behaved is pretty common for both Uber & Lyft. 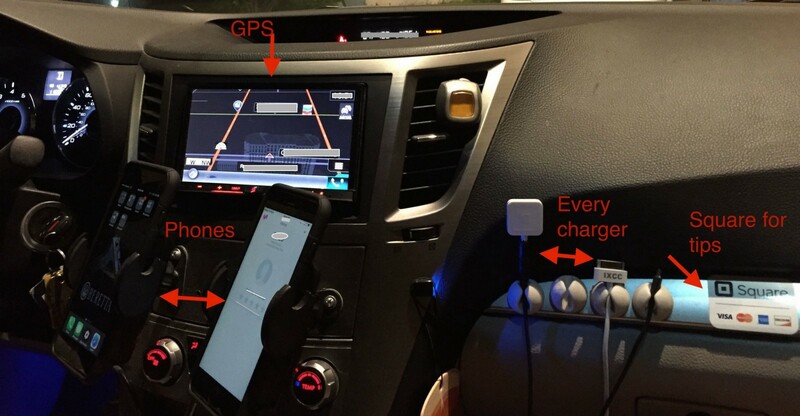 One of the benefits of driving for Uber & Lyft is cashless exchange, except for tips. Drivers universally appreciate that Lyft permits tips on the app, but Uber’s refusal to include it as a feature is a pain point for drivers. While some of them have tip jars, drivers rely on the promotion of cashless exchange as a point of personal safety, to reduce the chance of being robbed, but that isn’t the only threat to consider when they navigate safety on the job. Still, the man outside threatened to shoot if he didn’t leave. “He was out there. If he shot me, that’d be it. I wouldn’t even know it,” he muses. Thomas’ tip jar is stuffed with $1 bills, and the occasional fiver, and on another occasion, he was sure one of his passengers was about to rob him. The passenger recently lost their job, and he was heading home to a not-great neighborhood, but Thomas credits his unofficial therapy session with the man as an antidote. “I guess I was too nice to rob,” he cracks, with a hint of benevolent amusement. He seems sturdy and self-sufficient, able and willing to manage any situation that comes up, and he doesn’t seem to have a dash-cam in the car. (Maybe it would be culturally inappropriate to sic surveillance cams on passengers in Salt Lake City).